Microdosing LSD promises to act like a mix of Adderall and Prozac but without the side effects. Sounds too good to be true; is it? Some swear by microdosing while others call it a placebo effect. We researched the scientific explanations why microdosing might actually work, the risks involved and evaluated the evidence as of today. Here is what we found. Microdosing gained currency in Silicon Valley in late 2015 and is spreading like wildfire across the rest of the world. Software developers microdose to enhance their problem-solving capabilities. Biohackers microdose to boost their productivity. People with mood disorders microdose to alleviate symptoms of depression and anxiety. Stories of young professionals taking tiny doses of acid before going to the office have been making headlines all throughout the media with The New York Times, The Guardian, BBC, CNN, Forbes, Wired, Rolling Stone and Vice picking up on the trend. Search Google for ‘microdosing’ and you’ll find books, podcasts, subreddits and even a new online course on microdosing. 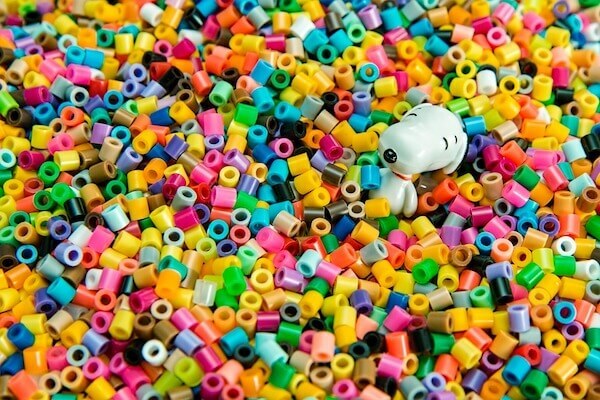 Microdosing caters to the needs of a modern society: being highly effective, thinking out of the box and being happy in a fast and competitive world. By doing so, it gives LSD a total image makeover. Today, it’s not ‘smelly hippies’ who use LSD; it’s übersmart twenty-somethings1, tech-entrepreneurs and high-achievers. How does microdosing LSD work? Unlike the recreational use of LSD, with microdosing you’re not supposed to feel any psychedelic effects. “If you’re taking a microdose and you’re feeling a little high, you’ve been taking a little too much.” says Fadiman.2 The goal is to stay under the perceptual threshold. If a full recreational dose of LSD is 100 micrograms, a good first shot for a microdose is 10 micrograms. From there, the dose can be tweaked until the user has found their personal optimum. LSD is usually distributed on so-called blotters, small strips of paper onto which LSD has been applied in its previously liquid form. Let’s say one blotter holds 100 micrograms of LSD. Because cutting such a tiny blotter into 10 even tinier pieces poses a challenge to most people’s fine motor skills, the easier method is dissolving the blotter in distilled water. Dissolving a blotter containing 100 micrograms of LSD in 10 millilitres of water, leaves you with a simple ratio of 1 milliliter water = 10 micrograms of LSD. Medical syringes are convenient tools for withdrawing precise amounts of liquid from a bigger container. The Third Wave, a website dedicated to microdosing, suggests that microdosing leads to increased creative output, more physical energy, improved emotional balance and heightened spiritual awareness. Now, what does the evidence say? Let’s distinguish between two kinds of evidence: (1) anecdotal evidence, which is the report about an isolated use case. And (2) scientific evidence, which rests on the scientific method and is therefore considered the highest quality of evidence. The internet is full of microdosing user reports. The overwhelming majority of these reports are positive. Users state that microdosing indeed increases their focus, overall life-satisfaction and helps them with depression and menstrual nuisances like cramping and PMS (premenstrual syndrome). Note however that there are examples to the contrary as well: some users report irritability, mood swings and anxiety after they had started their microdose regimen. This was what I experienced. On dosing days I was fine but on non-dosing days I felt anxious and depressed to an extent that made me quit my self-experiment after 22 days. In short: there is none. The closest thing to scientific evidence is James Fadiman’s research project in which he systematically analysed the self-reports of 418 microdosing individuals.2 Undoubtedly this is an interesting analysis, but it’s in no way scientific proof. Why? For many reasons. The most important one is that he didn’t have a control group in place. Without a proper control group, there is no way of knowing how much of the observed effects stem from placebo and how much from the actual substance. The kind of evidence that we’d like to see is a double-blind, placebo controlled study. That means that neither the participant nor the researcher knows if the participant is receiving LSD or a placebo. Currently, there are no such studies. Despite the lack of scientific evidence, let’s look at possible explanations why microdosing might in fact work. It’s well-documented that LSD can have stimulant effects in the brain. LSD binds to the serotonin 2A receptor, which in turn can increase the production of dopamine, the neurotransmitter associated with reward. Drugs like cocaine, amphetamine and Adderall all stimulate dopamine receptors. What’s the minimum effective dose for LSD to induce such a stimulating effect? We don’t know. This explanation is appealing because microdosers frequently report needing less coffee and yet being able to maintain an effortless focus. However, appealing doesn’t equal true. We’ll need to wait for actual evidence before we can state that very small doses of LSD have the described stimulating effect. Another explanation why microdosing might work is because it may enhance neuroplasticity. Neuroplasticity is the brain’s ability to form new neuronal connections and by doing so, learning new things. Important side note: losing neuronal connections is just as important as building them. Why? Because in order to change a certain behavior, you first have to let go of your current behavior. Animal studies have shown that the neurotransmitter serotonin plays a key role in losing neuronal connections and hence enabling behavioral change.4. It’s possible that psychedelic drugs enhance neuroplasticity too because they activate some of the same serotonin receptors. Does that mean that LSD makes you smarter? No. Reading books makes you smarter. But LSD may help you retain and apply new knowledge. Even though it’s intriguing to state “LSD enhances neuroplasticity”, I find it important to be transparent about the limitations of this argument. First, psychedelic drugs are not the only way to increase neuroplasticity. Simple things like exercise or fasting increase cognitive performance as well6—and this has been proven in humans and not just in animals. Second, we don’t know how much of a psychedelic substance is needed to increase neuroplasticity. It may very well be the case that a 30-minute jog followed by a cold shower is more effective than an LSD trip toward this end. And third, the animal studies mentioned above were conducted with regular to high doses of LSD, not with microdoses. We don’t know the threshold at which LSD may enhance neuroplasticity. Thus, microdosing may or may not have a positive effect on neuroplasticity. We simply don’t know. For a great review of the current state of scientific research regarding neuroplasticity and neurogenesis, check out the article Do psychedelics trigger neurogenesis? Here’s what we know on Psymposia. Recall that LSD’s principal target in the brain is the serotonin 2A receptor. The activation of this specific receptor gives users a psychedelic experience and has furthermore been associated with increased cognitive flexibility.7 Not too bad so far. However, LSD activates an array of other receptors as well. One of them is the serotonin 2B receptor. Activation of the serotonin 2B receptor stimulates the growth of cardiac ventricular and valve tissue.3 Long-term activation of this receptor may lead to Valvular Heart Disease which means that the heart’s valves don’t work like they should. Some of you may remember fenfluramine, or “Fen-Phen”, a weight-loss drug that was pulled off the market because some patients had developed a heart disease after using it. Fenfluramine activates the serotonin 2B receptor with a similar potency as LSD does, thus the concern regarding an ongoing use of LSD. Microdosing advocates argue that an LSD microdose is several thousand times smaller than a typical dose of fenfluramine. Hence, microdosing has nowhere near the heart disease risk associated with fenfluramine. Nevertheless, they advise to limit microdosing regimens to a maximum of 90 days. On the other side, sceptics like Dr. David Nichols argue that even low doses could be problematic because—unlike normal serotonin—an LSD molecule can get trapped in the receptor for up to 8 hours, thus constantly stimulating it. Another potential health risk stems from the criminalization of LSD. Because users can’t buy the substance from an official, quality-assured vendor, there is little transparency as to what substance they actually hold in their hands. In other words, there is a risk that they are not using LSD but some other unknown substance with an unknown risk profile. How we experience reality is heavily biased by our expectations. 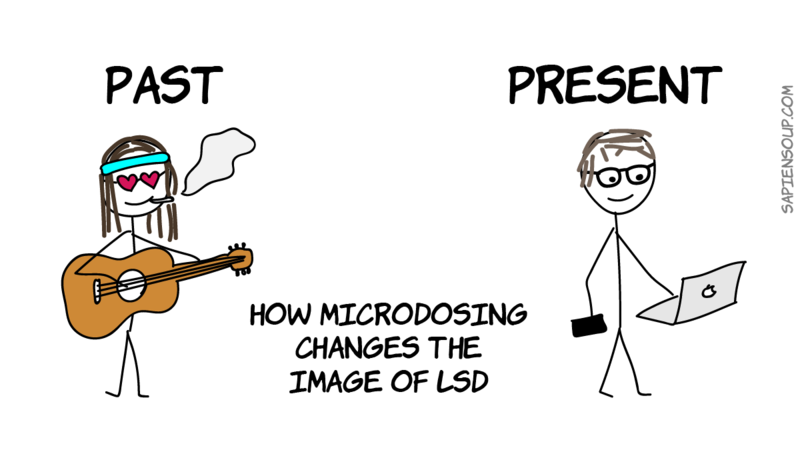 With microdosing, I believe we’re dealing with a strong positive expectation bias and therefore a strong placebo effect. Think about it like this: would you expose yourself to the risk of being convicted and maybe even losing your job if you didn’t expect a big reward on the other side of the equation? At least that’s how I thought when I first tried it. I really wanted microdosing to work. The Beckley Foundation has proposed a placebo-controlled study in order to investigate the effects of microdosing LSD at 10, 20 and 50 micrograms. During the experiment, participants will undergo a series of tests like playing Go against a computer, questionnaires and brain scans. If you want this study to be carried out, please support the researchers by donating to the project. If microdosing indeed turned out to be effective—and more importantly—effective at a lower risk profile than common antidepressants and stimulants, that’d be good news. And if it turned out to be a placebo effect? In fact, I believe that’d be good news too. Why? Because it would reinforce the idea that a mind can heal itself: alleviating pain, stabilizing moods and enjoying life more. If so, our challenge wouldn’t be to find the right pharmacological fix, but rather to identify strategies how we can activate these apparent self-healing pathways on our own. On a related but different kind of self-healing process will be our next and final story in the 7-part-series on psychedelic drugs: MDMA-assisted therapy. You can sign up for our newsletter and get notified when we publish it. If you are located in the Vienna area, we invite you to join the Psychedelic Society Vienna, where we regularly discuss the latest research and developments in the world of psychedelia.